A pair of vernier calipers used to be something fairly expensive, but nowadays you can get a pair that is more than accurate enough for woodworking for around $20. 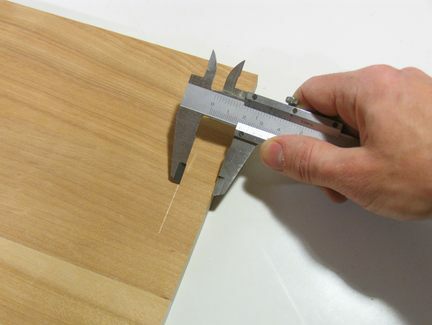 I never really trust the scale on a marking gauge, so I often find myself using a pair of calipers to set the marking gauge. Though often, I'd only have a few lines that I need to score. With the sharp points on the jaw of the caliper, I often found myself lazy and just using the caliper's jaws to score the line into the wood. It works surprisingly well, and it's accurate too, if you hold the calipers near parallel to the wood. And it's much easier to set calipers accurately than the marking gauge. The points for inside measurement will also do as a set of trammel points in a pinch. 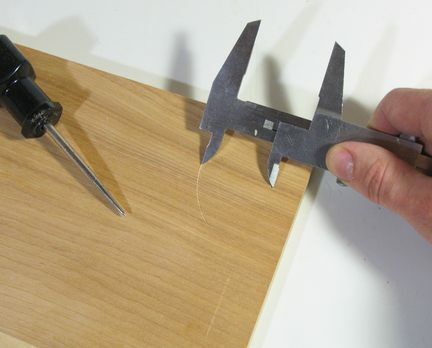 It helps to punch the center a little bit with an awl though, and depending on how big a hole you made, your circle might be as much as half a millimeter smaller than the caliper indicates. Still, it's a useful technique, and more accurate than a typical set of trammel points.